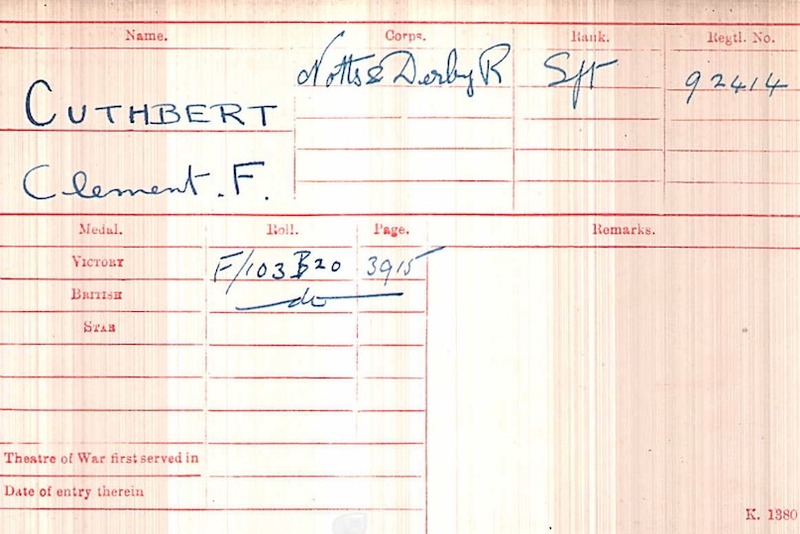 Frank Clement Cuthbert was posted to one of the the training Battalions of the Sherwood Foresters between July and September 1917. Evidence: 92039 Broom posted to 2/5th on 7th July 1917 and 94511 Tatters posted to 3rd Battn on 7th September 1917. 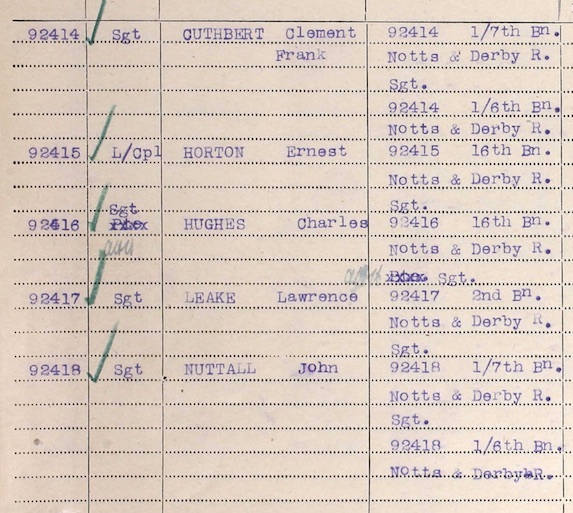 Frank initially served overseas with the 1/7th Battalion but was later transferred to the 1/6th Battalion, most likely at the time that the Robin Hoods disbanded in 1918 – see here. 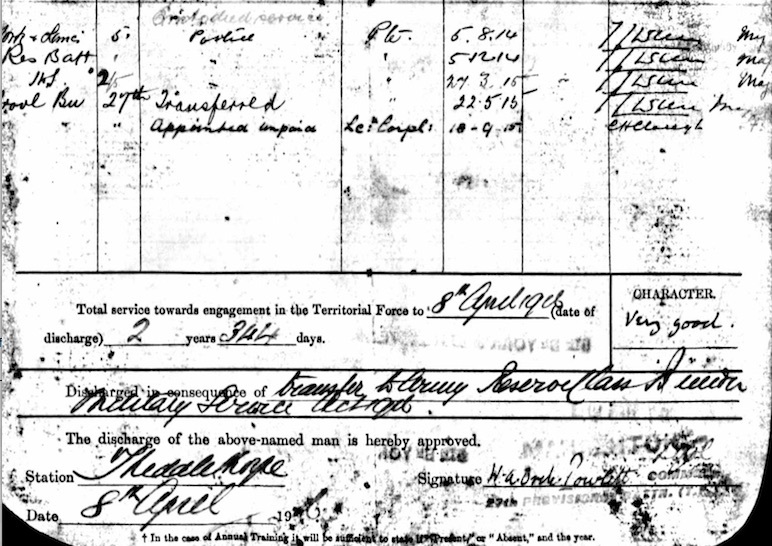 It’s quite possible that Frank was still serving with the 1/6th Battalion during the attack on the Hindenburg Line – see here. There is no recored of when Frank was disembodied. 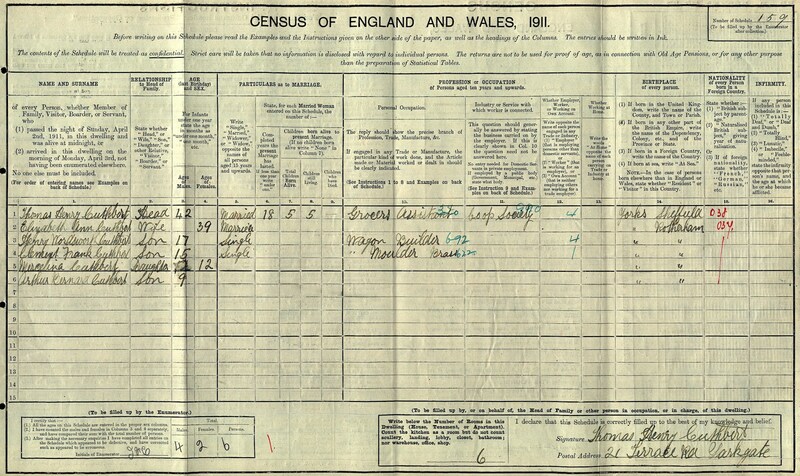 The 1911 Census records 15 year old Frank as a wagon builder living with his parents at 21 Terrace Row in Yorkgate, Rotherham. 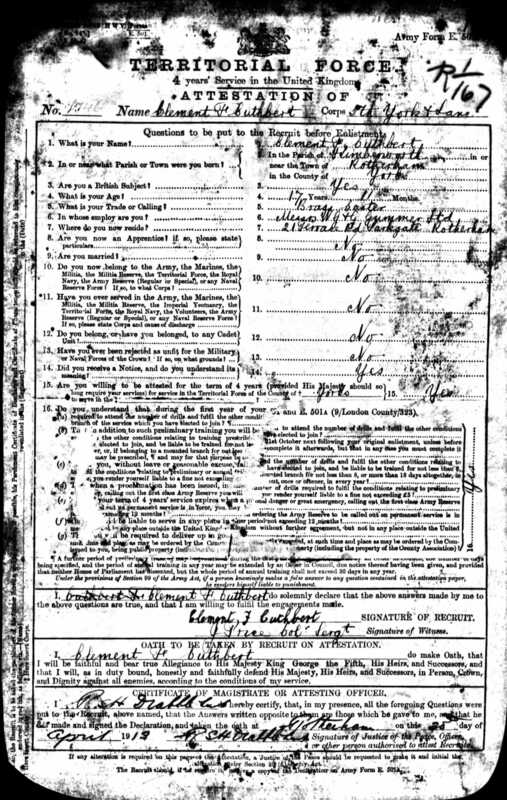 Frank enlisted into the 5th Battalion York and Lancaster Regiment in April 1913. 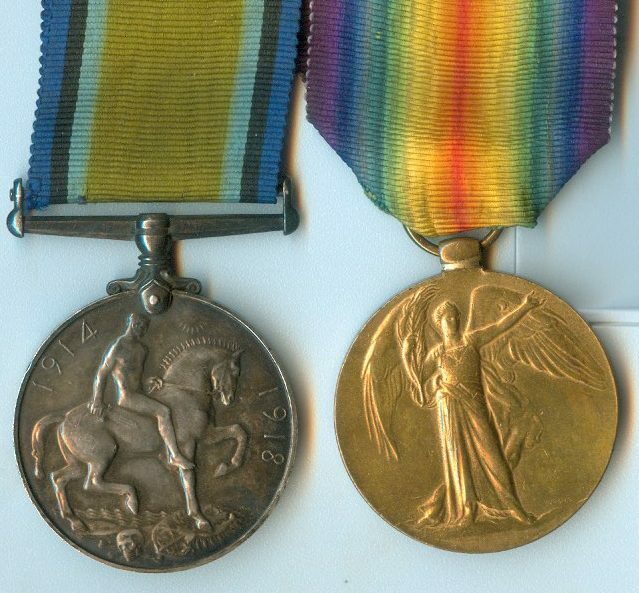 Frank was later transferred to the 2/5th Battalion in March 1915 when the 1/5th Battalion left for France with the 3rd West Riding Brigade of the West Riding Division. He was subsequently posted to the 27th Provisional Battalion in May 1915 before being transferred to the Army Reserve in August 1916. The 2nd Provisional Brigade formed in North East England in May 1915 from the Home Service details of several regiments - see here. Frank died in June 1960 aged 64.